Advantages: Two models with crisp yet subtle moulding with high level of detail, Eduard’s usual high quality instructions. 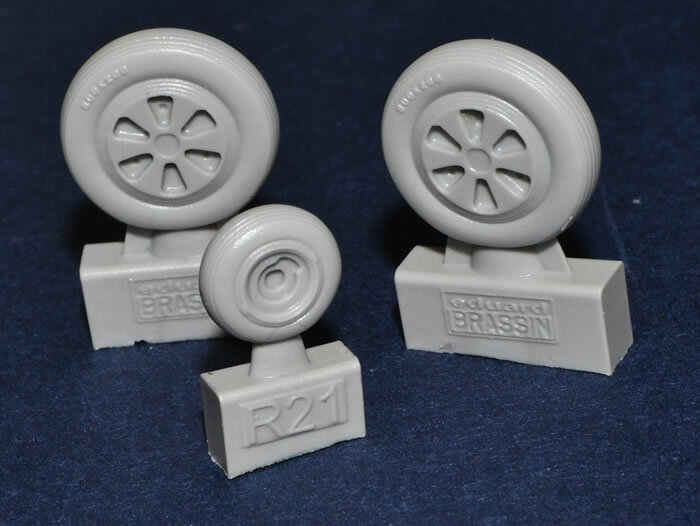 Brassin resin parts and Steel belts are a great extra, as is the 12 different schemes offered. 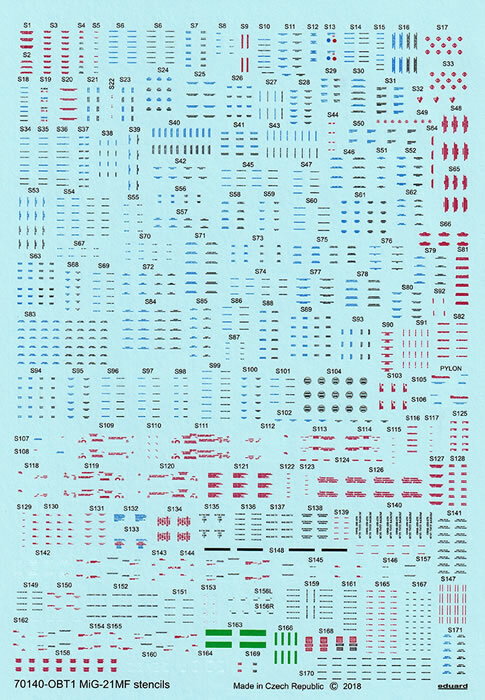 Conclusion: A chance to add some well detailed and interesting paint schemes to the cabinet for those modellers wanting that little bit extra. Wonderful kits! 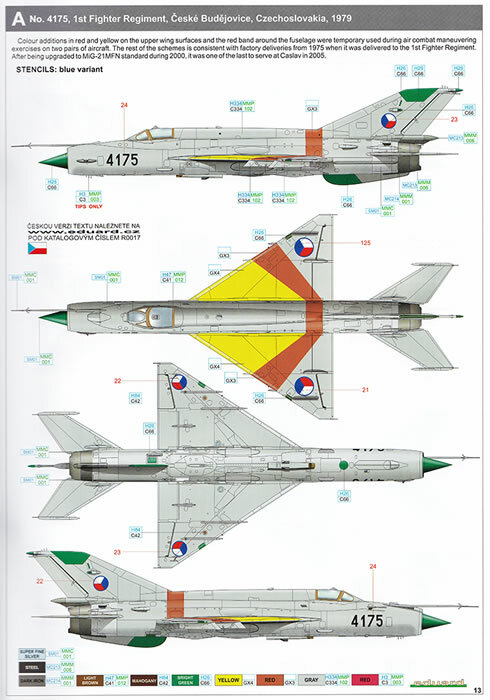 The Mikoyan-Gurevich MiG-21 (NATO reporting name: Fishbed) is a supersonic jet fighter and interceptor aircraft, designed by the Mikoyan-Gurevich Design Bureau in the Soviet Union. It was popularly nicknamed "balalaika", from the aircraft's planform-view resemblance to the Russian stringed musical instrument or olowek (English: pencil) by Polish pilots due to the shape of its fuselage. It was also nicknamed "En bac" (In English: Silver swallows) by North Vietnamese, now Vietnam People's Air Force, pilots and the Vietnamese people. Approximately 60 countries over four continents have flown the MiG-21, and it still serves many nations six decades after its maiden flight. It made aviation records, became the most-produced supersonic jet aircraft in aviation history, the most-produced combat aircraft since the Korean War and previously the longest production run of a combat aircraft (now exceeded by both the McDonnell Douglas F-15 Eagle and General Dynamics F-16 Fighting Falcon). 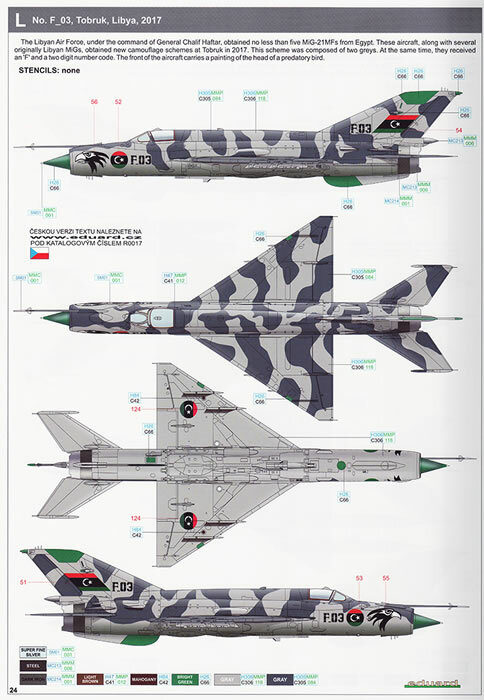 The MiG-21 jet fighter was a continuation of Soviet jet fighters, starting with the subsonic MiG-15 and MiG-17, and the supersonic MiG-19. 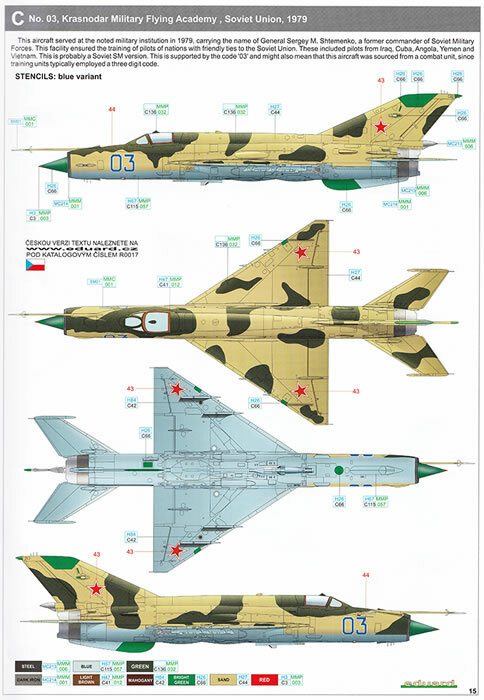 A number of experimental Mach 2 Soviet designs were based on nose intakes with either swept-back wings, such as the Sukhoi Su-7, or tailed deltas, of which the MiG-21 would be the most successful. 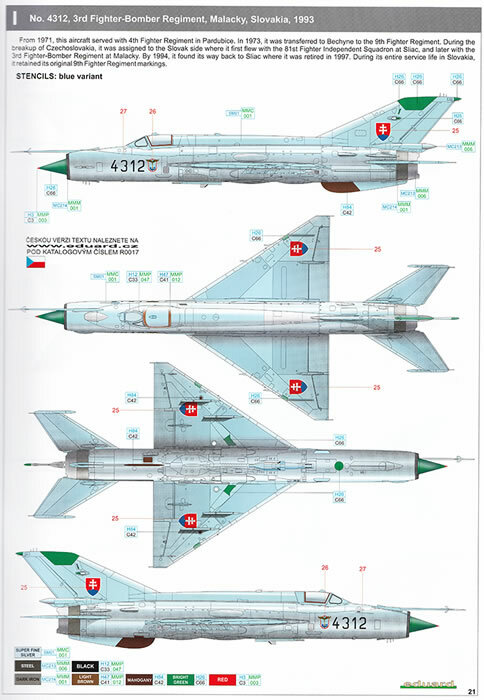 Development of what would become the MiG-21 began in the early 1950s, when Mikoyan OKB finished a preliminary design study for a prototype designated Ye-1 in 1954. This project was very quickly reworked when it was determined that the planned engine was underpowered; the redesign led to the second prototype, the Ye-2. Both these and other early prototypes featured swept wings. The first prototype with delta wings as found on production variants was the Ye-4. It made its maiden flight on 16 June 1955 and its first public appearance during the Soviet Aviation Day display at Moscow's Tushino airfield in July 1956. 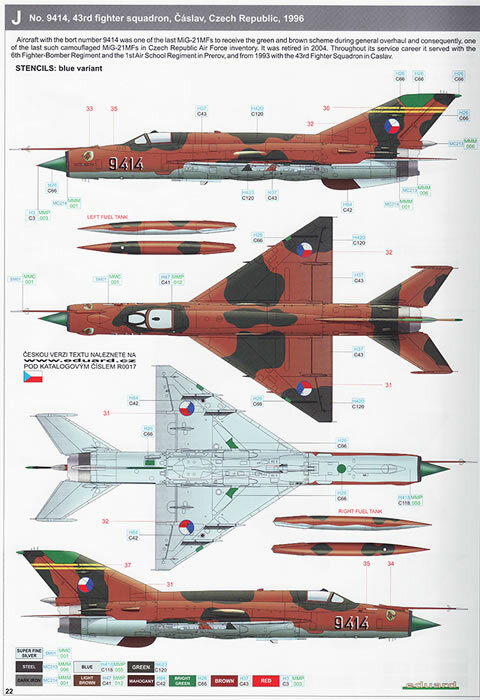 The MiG-21 was the first successful Soviet aircraft combining fighter and interceptor characteristics in a single aircraft. It was a lightweight fighter, achieving Mach 2 with a relatively low-powered afterburning turbojet, and is thus comparable to the American Lockheed F-104 Starfighter and Northrop F-5 Freedom Fighter and the French Dassault Mirage III. 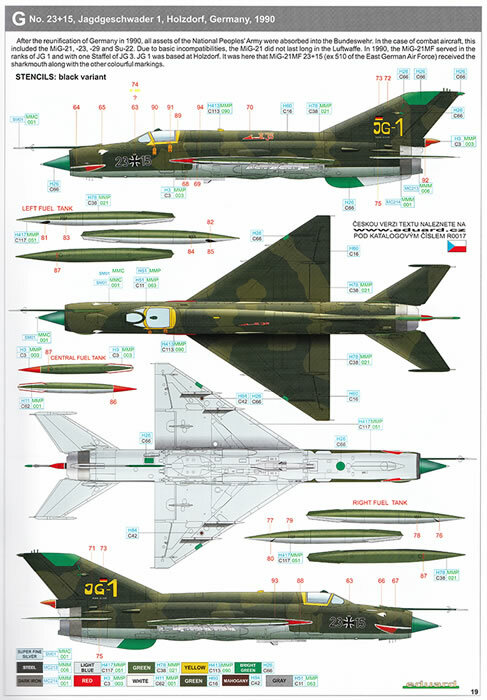 Its basic layout was used for numerous other Soviet designs; delta-winged aircraft included Su-9 interceptor and the fast E-150 prototype from MiG bureau while the mass-produced successful front fighter Su-7 and Mikoyan's I-75 experimental interceptor combined a similar fuselage shape with swept-back wings. However, the characteristic layout with the shock cone and front air intake did not see widespread use outside the USSR and finally proved to have limited development potential, mainly because of the very small space available for the radar. 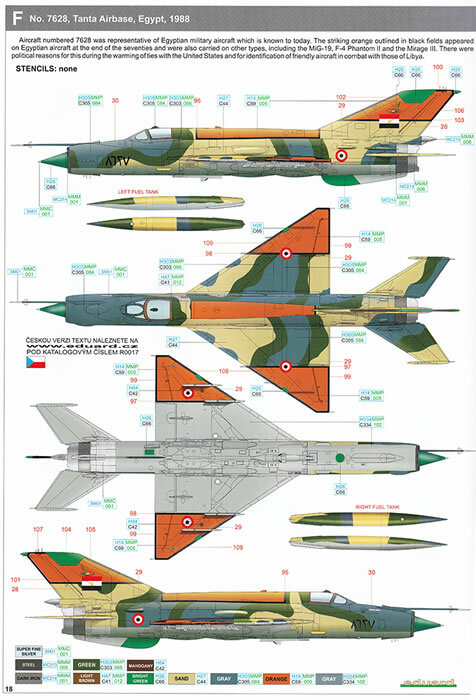 Like many aircraft designed as interceptors, the MiG-21 had a short range. This was exacerbated by the poor placement of the internal fuel tanks ahead of the centre of gravity. As the internal fuel was consumed, the center of gravity would shift rearward beyond acceptable parameters. This had the effect of making the plane statically unstable to the point of being difficult to control, resulting in an endurance of only 45 minutes in clean condition. This can be somewhat countered by carrying fuel in external tanks closer to the centre of gravity. The Chinese variants somewhat improved the internal fuel tank layout (also second generation of Soviet variants), and also carry significantly larger external fuel tanks to counter this issue. Additionally, when more than half the fuel was used up, violent manoeuvres prevented fuel from flowing into the engine (questionable), thereby causing it to shut down in flight. 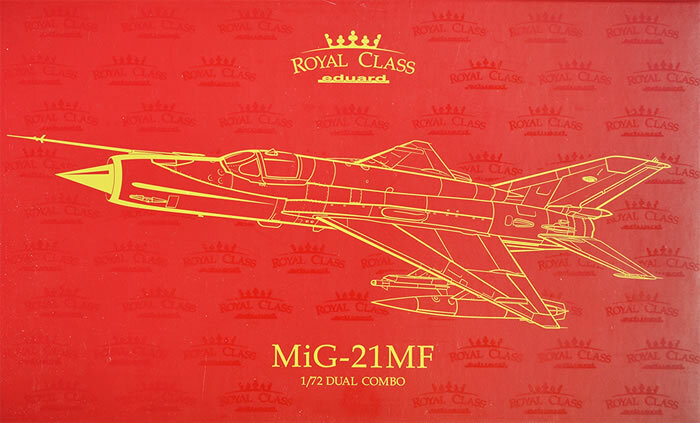 This increased the risk of tank implosions (MiG-21 had tanks pressurized with air from the engine's compressor), a problem inherited from the MiG-15, MiG-17 and MiG-19. 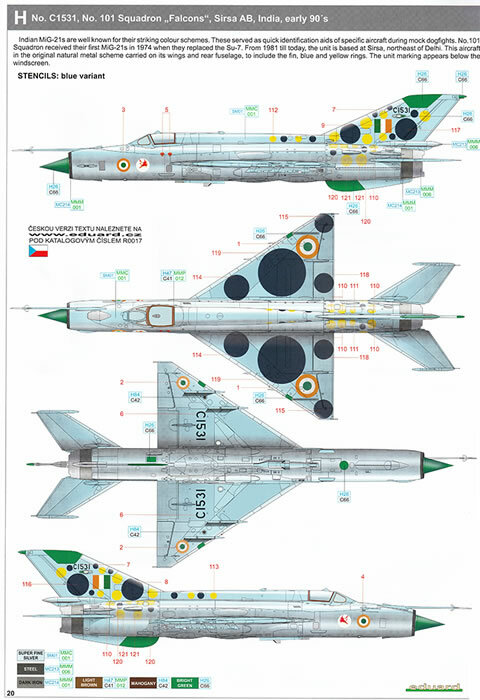 The short endurance and low fuel capacity of the MiG-21F, PF, PFM, S/SM and M/MF variants—though each had a somewhat greater fuel capacity than its predecessor—led to the development of the MT and SMT variants. These had an increased range of 250 km (155 mi) compared to the MiG-21SM, but at the cost of worsening all other performance figures, such as a lower service ceiling and slower time to altitude. The delta wing, while excellent for a fast-climbing interceptor, meant any form of turning combat led to a rapid loss of speed. 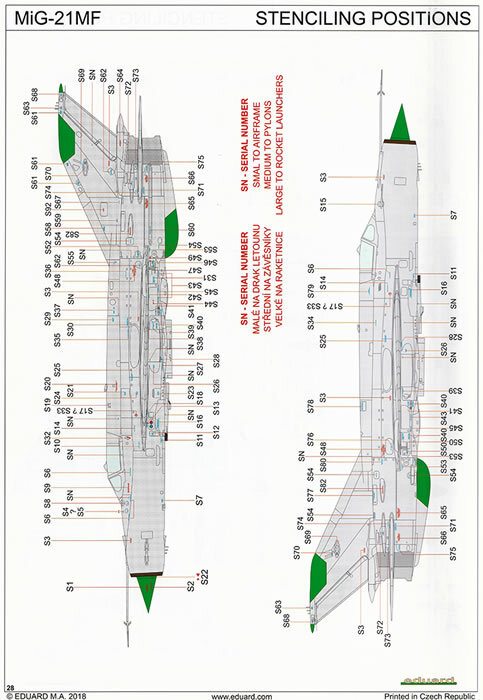 However, the light loading of the aircraft could mean that a climb rate of 235 m/s (46,250 ft/min) was possible with a combat-loaded MiG-21bis, not far short of the performance of the later F-16A. Given a skilled pilot and capable missiles, it could give a good account of itself against contemporary fighters. Its G-limits were increased from +7Gs in initial variants to +8.5Gs in the latest variants. 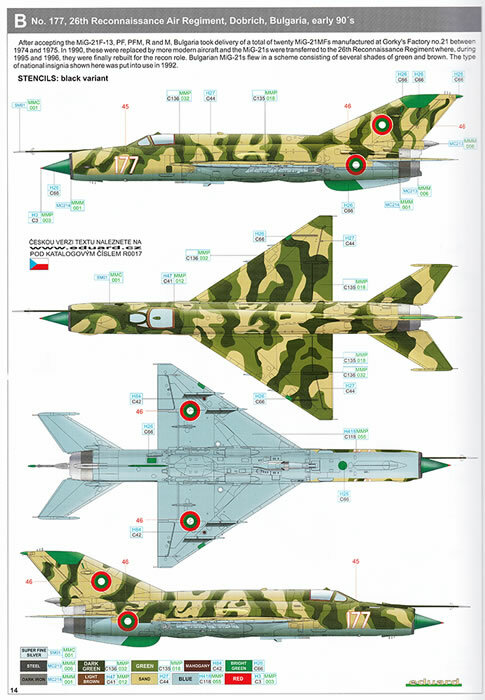 It was replaced by the newer variable-geometry MiG-23 and MiG-27 for ground support duties. However, not until the MiG-29 would the Soviet Union ultimately replace the MiG-21 as a maneuvering dogfighter to counter new American air superiority types. 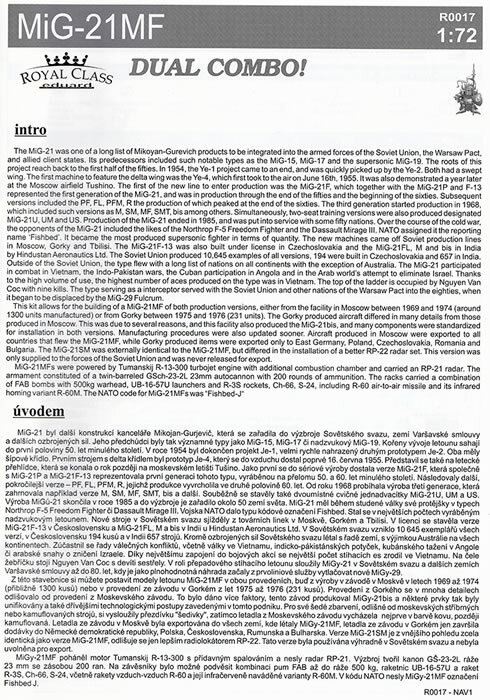 The MiG-21 was exported widely and remains in use. The aircraft's simple controls, engine, weapons, and avionics were typical of Soviet-era military designs. The use of a tail with the delta wing aids stability and control at the extremes of the flight envelope, enhancing safety for lower-skilled pilots; this in turn enhanced its marketability in exports to developing countries with limited training programs and restricted pilot pools. 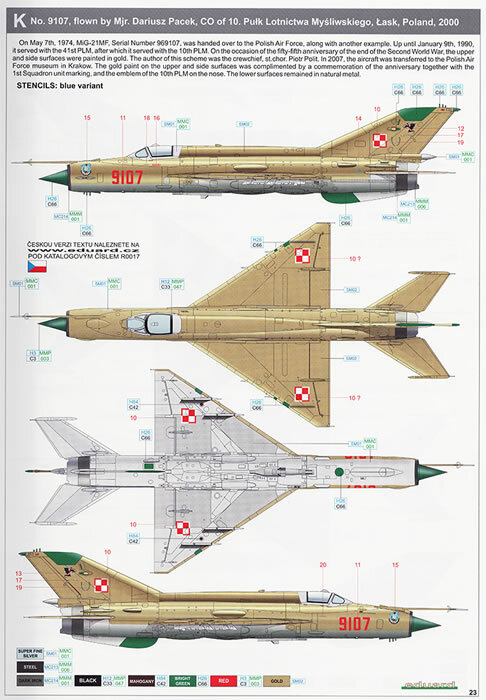 While technologically inferior to the more advanced fighters it often faced, low production and maintenance costs made it a favourite of nations buying Eastern Bloc military hardware. Several Russian, Israeli and Romanian firms have begun to offer upgrade packages to MiG-21 operators, designed to bring the aircraft up to a modern standard, with greatly upgraded avionics and armaments. A total of 10,645 aircraft were built in the USSR. They were produced in three factories: AZ 30[N 1] (3,203 aircraft) in Moscow (also known as MMZ Znamya Truda), GAZ 21 (5,765 aircraft) in Gorky [N 2] and TAZ 31 (1,678 aircraft) in Tbilisi. Generally, Gorky built single-seaters for the Soviet forces. Moscow constructed single-seaters for export, and Tbilisi manufactured the twin-seaters both for export and the USSR, though there were exceptions. 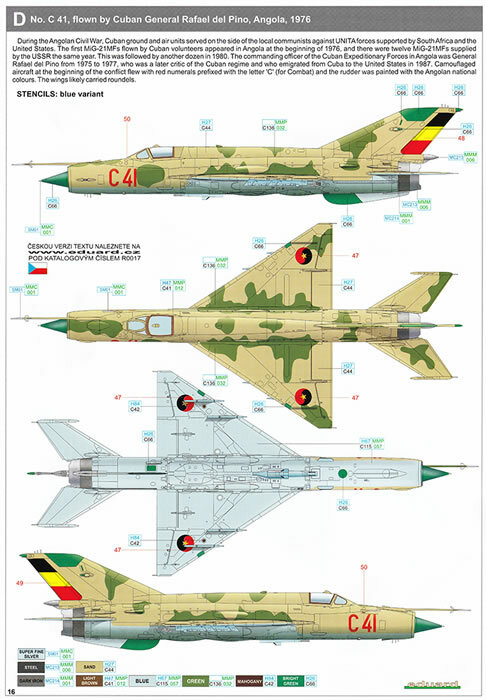 The MiG-21R and MiG-21bis for export and for the USSR were built in Gorky, 17 single-seaters were helmed in Tbilisi (MiG-21 and MiG-21F), the MiG-21MF was first constructed in Moscow and then Gorky, and the MiG-21U was built in Moscow as well as in Tbilisi. The sturdy, classy red and gold Eduard box opens to packed full box with 6 sprues of grey injected moulded, finely detailed parts with 360 parts on them which enables you build 2 completed models but one of each variant, the interceptor and fighter-bomber which were built in Gorky and Moscow respectively. 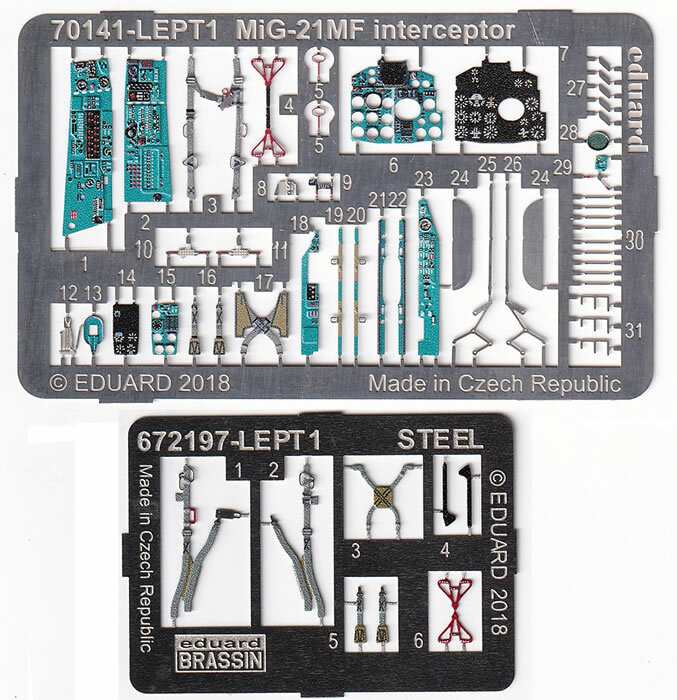 Upon careful examination of the instructions I find that only 22 of these parts are not to be used in these versions, which is quite a small tally compared with most of the Eduard kits I’ve reviewed lately or am building. 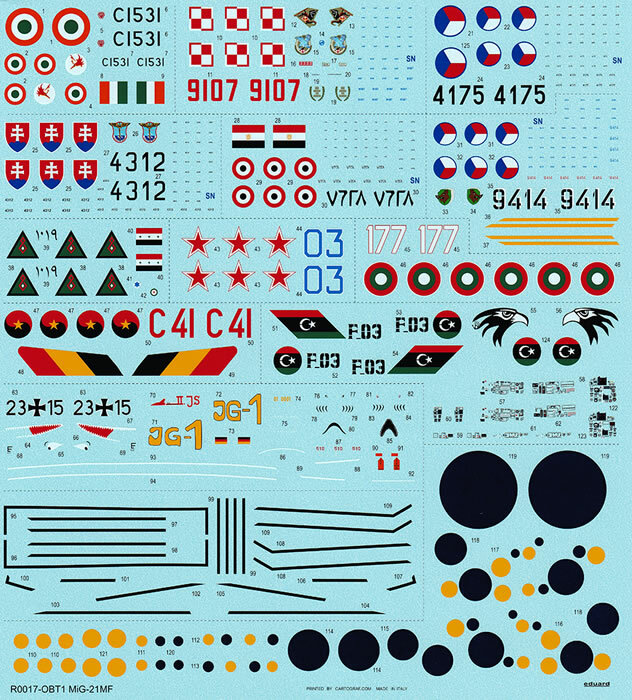 There are 2 clear sprues, each containing 14 very clear parts, 2 sheets of painted photo-etch with one for each variant of each aircraft, 2 sets of Eduard STEEL belts for the Brassin resin seats, 2 sets of Brassin wheels, decals for 12 different aircraft, masks and 3 large sheet of decals complete with 2 of these sheets being stencils and the usual comprehensive instruction booklet. 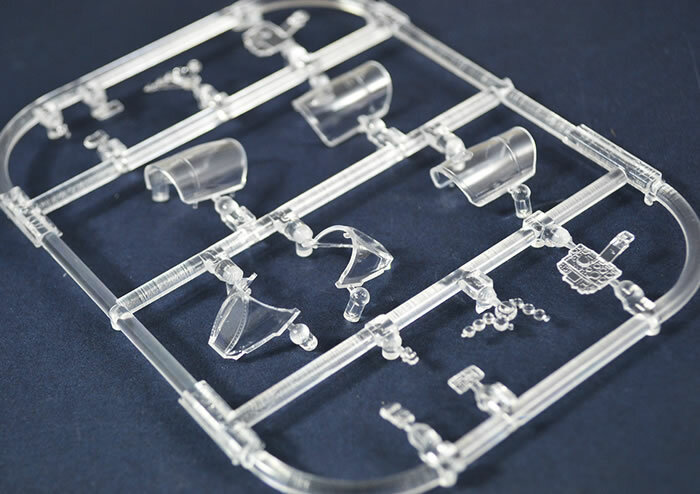 All sprues are cleanly moulded with no flash evident, although a few of the parts exhibit some degree of moulding lines and sprue gates to the parts appear to have been created to minimise their effect on the parts. 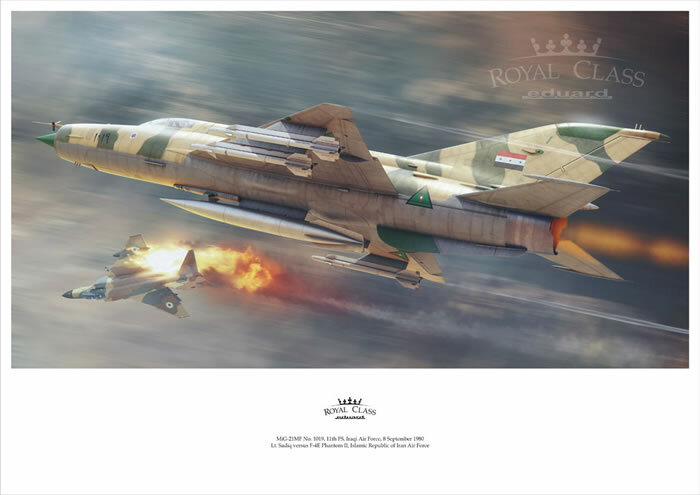 In the box is also a bonus Limited run EduArt print, depicting an Iraqi MiG-21MF shooting down an Iranian F-4 Phantom II during the Iran-Iraq War on 8 September 1980. All in all, a large amount of plastic and etch to play with. 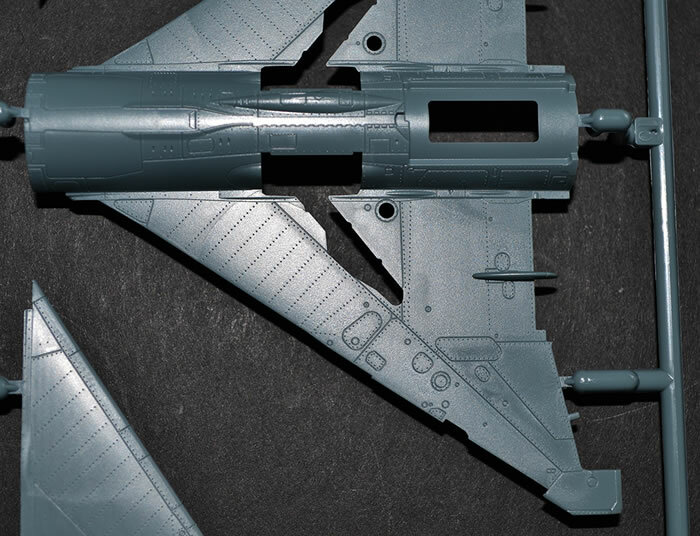 Sprue A is the airframe sprue for the Gorky produced Interceptor version of the MiG-21MF. This version is Schemes A & B. 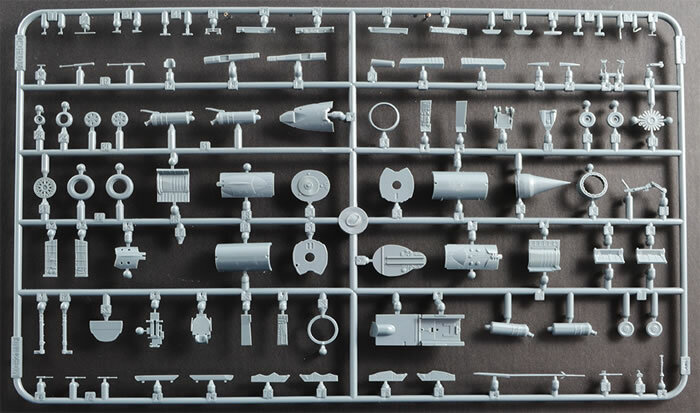 The sprue has 17 grey injected moulded parts of which 3 are not used. Found here are the wonderfully detailed fuselages, wings, tailplanes, one piece spine and rudder and the tail cone. 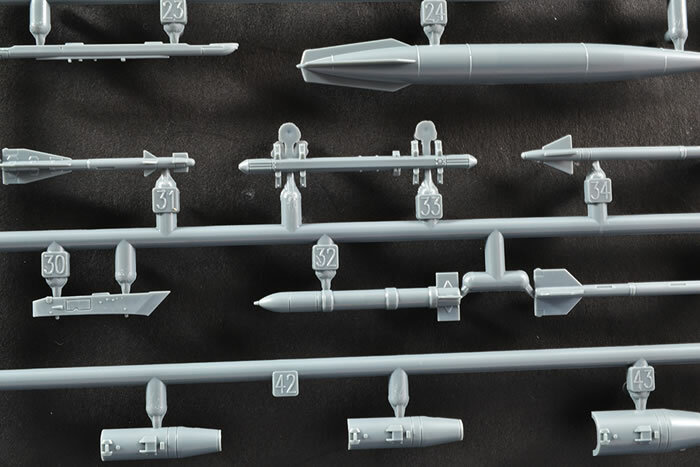 Sprue B is the airframe sprue for the Moscow produced fighter-bomber version. This is for schemes C-L, which are the majority of the offerings. 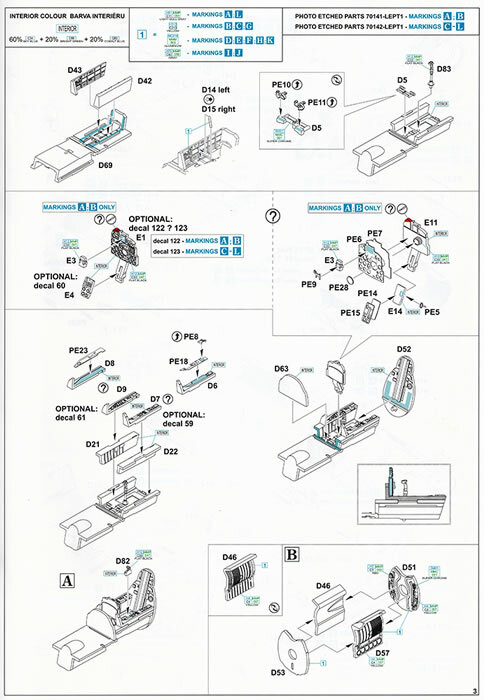 This offers the same number of pieces but only 1 is not used, and contains the same as Sprue A. 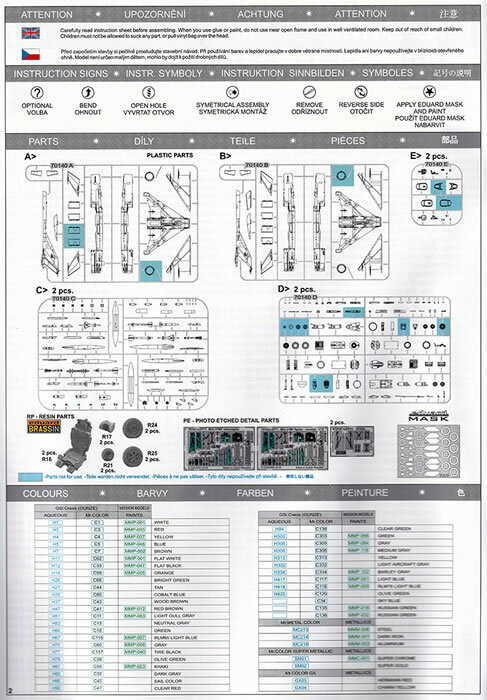 With this array, you will need to do some work to find what the aircraft/country of your choices carried most regularly as you can’t possibly fit all of this on. 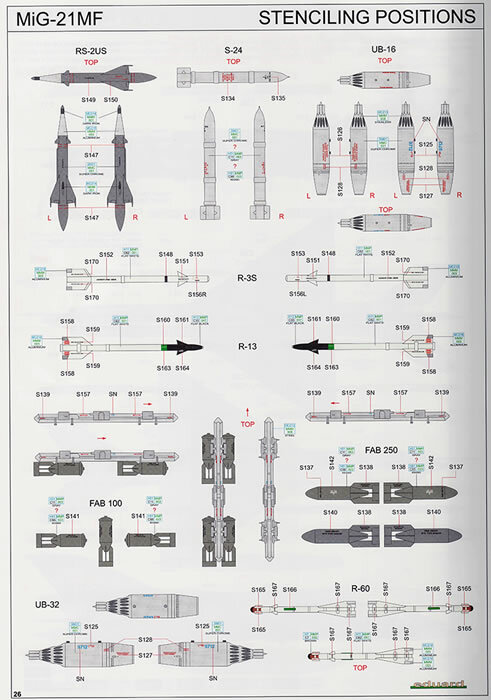 Eduard does give you a typical armament guide but also recommends fitting out to your references. There will be plenty of building in assembling and finishing this array. 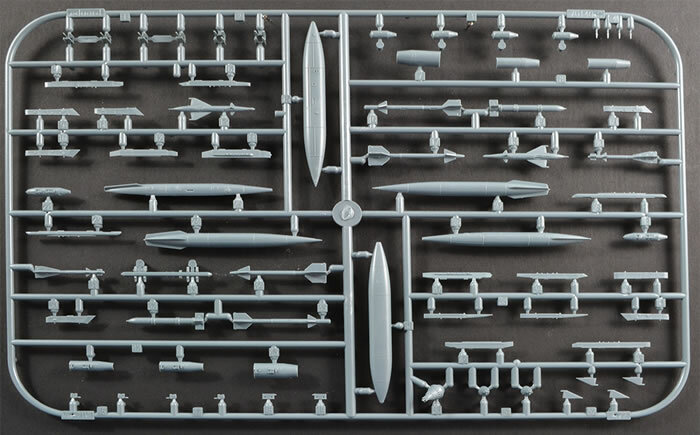 A sprue of some 98 parts with 9 unused, Sprue D has the cockpit parts, wheel bays, undercarriage parts, air brake, RATO units and a myriad of small pieces to be added to the airframe. 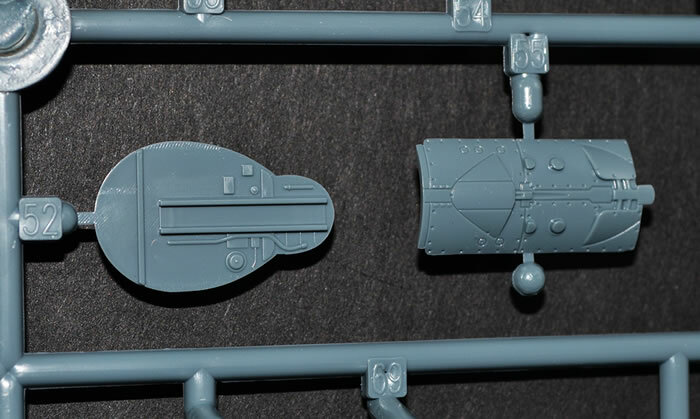 All of the parts are beautifully detailed with both rivet detail and raised surfaces as required. Nice job Mr Eduard. 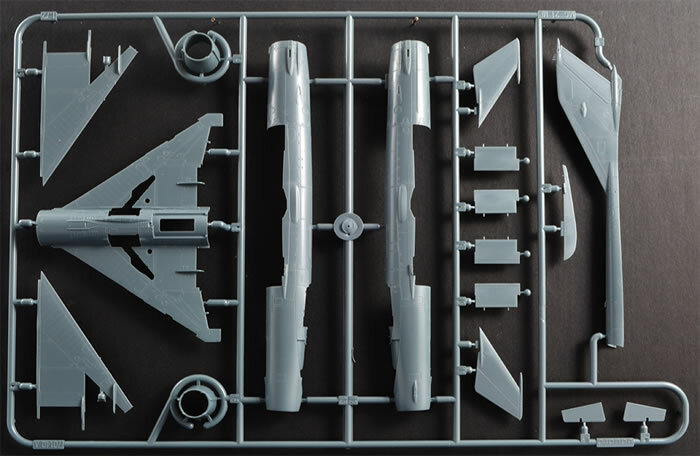 This sprue is clear sprue and provides 15 clear parts of which 2 are not used and I believe these are the 2 canopy pieces for the PF version of the MiG-21. Parts are crystal clear with some nice rivet detail on the frames. As normally found in the later Royal Class boxings are Brassin Resin parts to further enhance the kits. You are supplied with 2 sheets of painted photo-etch with 50 parts on each. 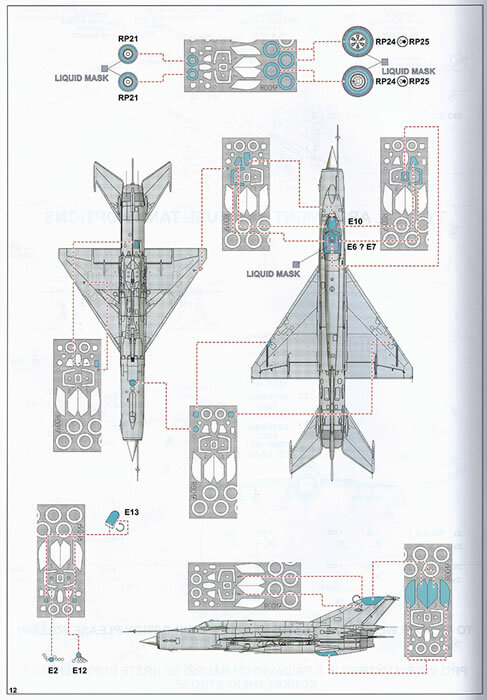 They are different as there is one for each of the Interceptor and Fighter-bomber variants. Make sure you use the correct one. The instrument panels are different on each of these versions. Also supplied are 2 sets of Eduard’s STEEL belts to go with the resin seats. This is the first set I’ve had in my hot little hands and they seem much finer (thinner) than the standard belts. I can’t wait to have a go with them. MiG-21MF/SM, 03 Blue, Krasnodar Military Flying Academy, Soviet Union, 1979. The hardest part of this kit is choosing which of the great schemes to use. Lastly, we can’t forget that there is a set of masks for each aircraft to make the painting task much easier. Many superlatives have been used about this kit but I think just a simple amazing will do. 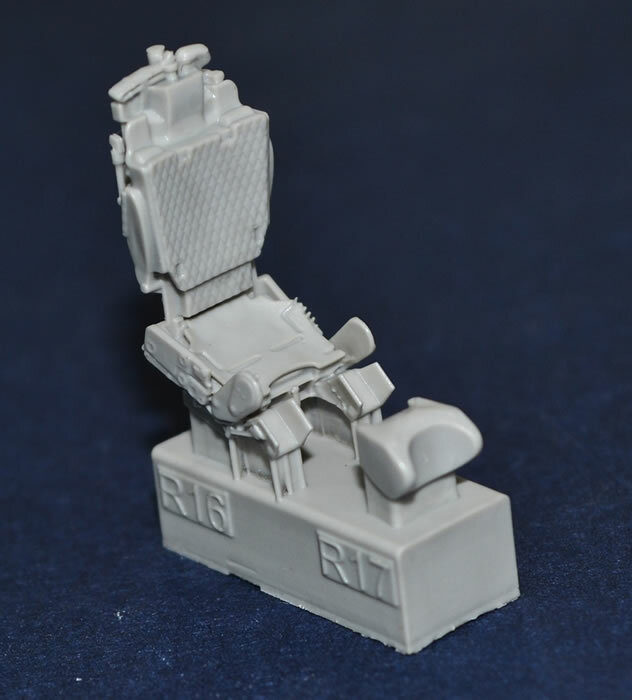 The detail provided by Eduard is superb for such as small aircraft as is the overall quality of the moulding. With the added Brassin parts, there is nothing you need to add for a great build straight for the box. A highly recommended kit set. Back to Reviews Page Woo!